Barton upon Humber is home to many of North Lincolnshire’s much loved attractions. The historic streets are lined with atmospheric Georgian properties, bustling shops and helpful stores. Once a traditional market town, Barton has kept its original charm and is easy to get to. The town is known for its creative thinking and celebrating its iconic figures from the past such as Samuel Wilderspin (revolutionary educator) Sir Isaac Pitman ( credited for the shorthand writing system) and Get Carter novelist Ted Lewis. Pick up a South Humber Collection leaflet to find out about the amazing list of attractions in the town. 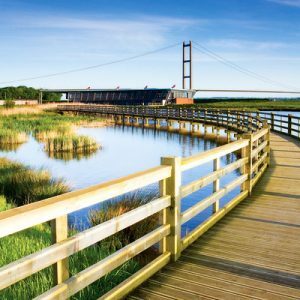 Waters’ Edge Country Park & Visitor Centre welcomes visitors all year round to watch the amazing wildlife that inhabits the park. 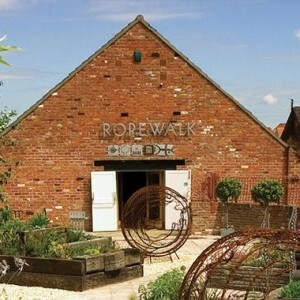 The centre is perfect for picking up locally crafted gift wares and refreshments. The Ropewalk, St Peter’s Church and the Wilderspin National School are all a must for any visiting family. 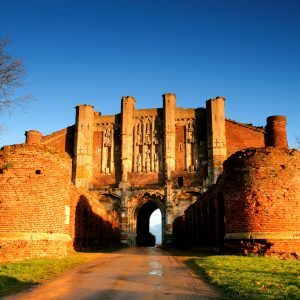 Barely 10 minutes from Barton upon Humber, near the village of Ulceby, you can visit Thornton Abbey & Gatehouse. An impressive gatehouse and abbey ruins which housed the 12th Century Augustinian monastery. If you’re heading into the town why not jump on the The Barton Line? This rail route transports you directly into Barton from Cleethorpes stopping at all the quirky little stations on the way.